On the Review tab of the Ribbon, open the Tracking group. 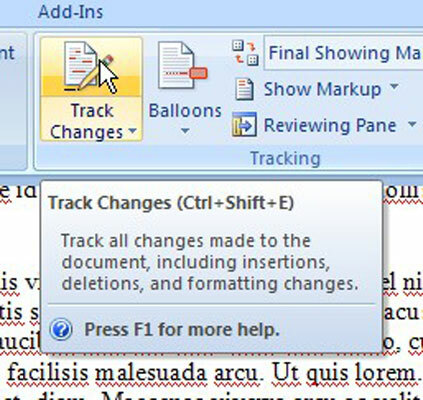 Turn off Track Changes here. Click the Track Changes button. Now, no edits will show in a special color. 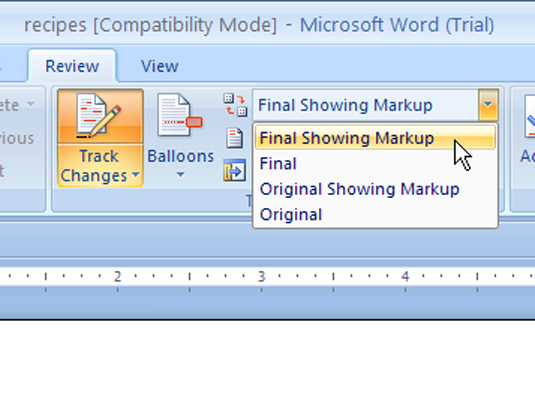 Also in the Tracking group, from the Open the Display for Review menu, choose Final Showing Markup. This makes sure you can see all the changes. From the Changes group of the Review tab, click the Next Change button. 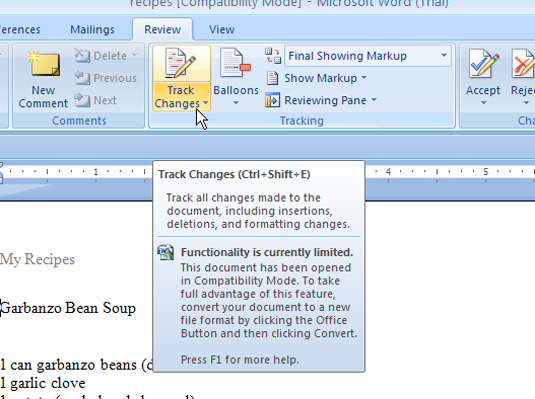 You are taken to the next change in the document. To accept the edit, click the Accept button in the Changes group. 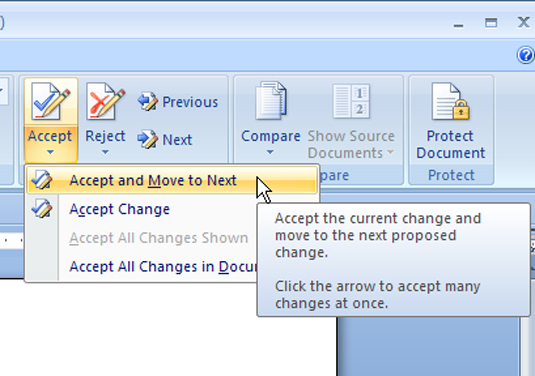 Then choose whether to accept this single edit, accept it and move to the next edit, or accept all edits in the document. 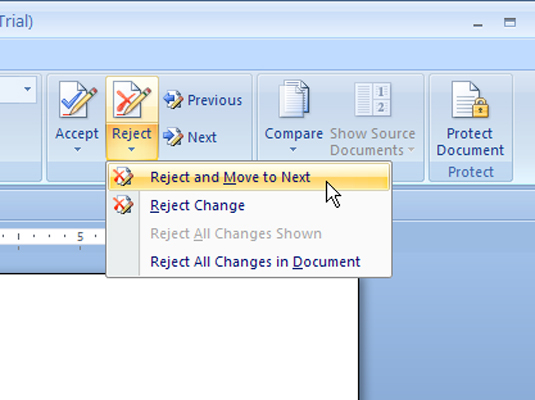 To reject the edit, click the Reject and Move to Next button. 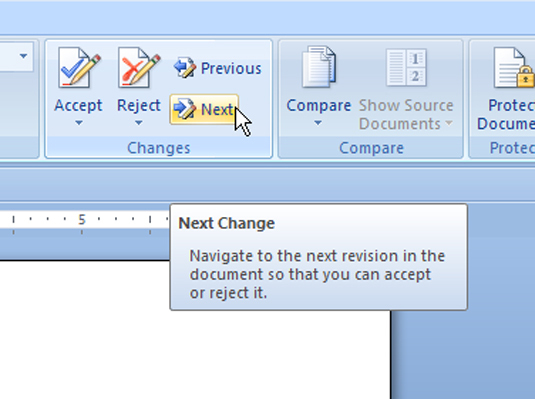 Then choose to reject this single edit, reject it and move to the next edit, or reject all edits in the document.